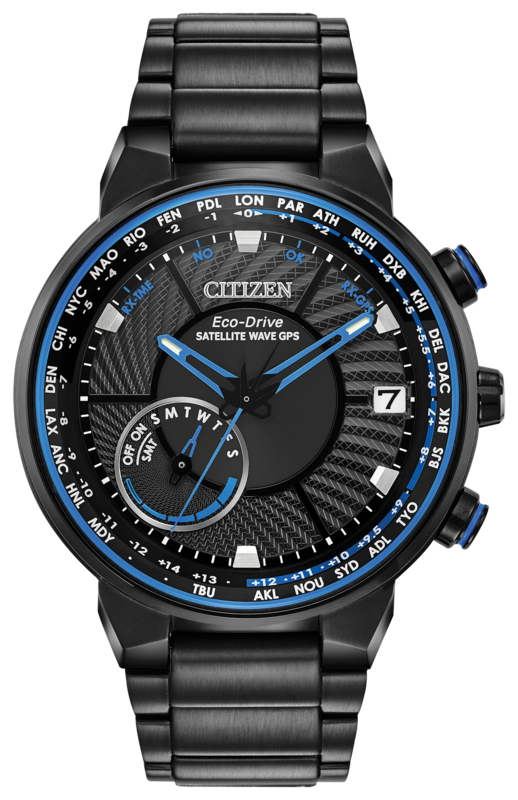 Citizen’s 2019 models in the Satellite Wave family, which have been renamed as Satellite Wave GPS, will be available for under $1000 when they go on sale in the coming weeks. The sporty black ion-plated steel watches are offered with blue or green hands and accents and display a perpetual calendar, daylight savings time indicator, power reserve indicator and light level power indicator. With the solar-powered watches pinging GPS satellite signals to check their accuracy, they guarantee to tell the correct time in all 40 world time zones.